The ceremony, Charye can be translated as “Tea Propriety” during which family members gather during the Lunar New Year and Fall Harvests to honor ancestors with a tribute of tea, fruits and sweets.There are many different ceremonies in Korean Tea Culture, some sharing similarities with other international traditions but all unique and meaningful, preserving important aspects of history and culture. 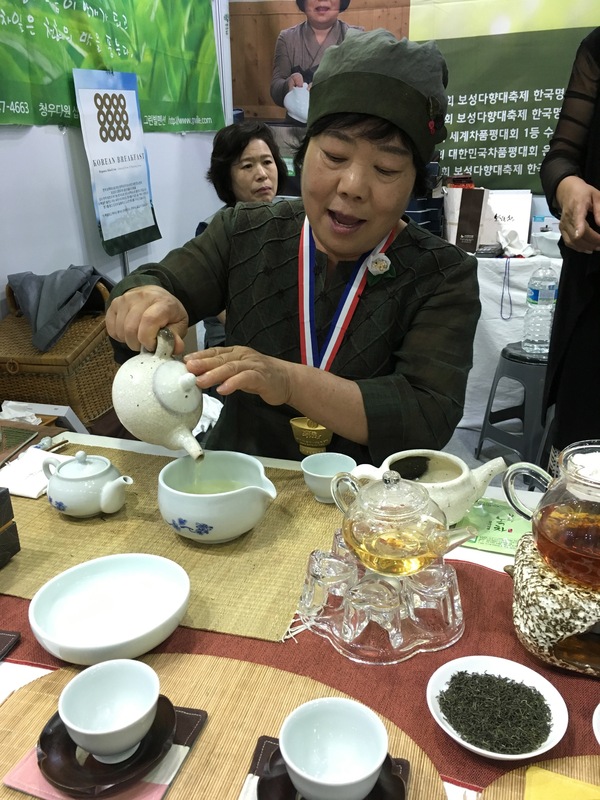 Myung Won, Kim, Mi Hee restored, compiled, and presented the comprehensive procedures of the Korean tea ceremony to the public for the first time in Korea. 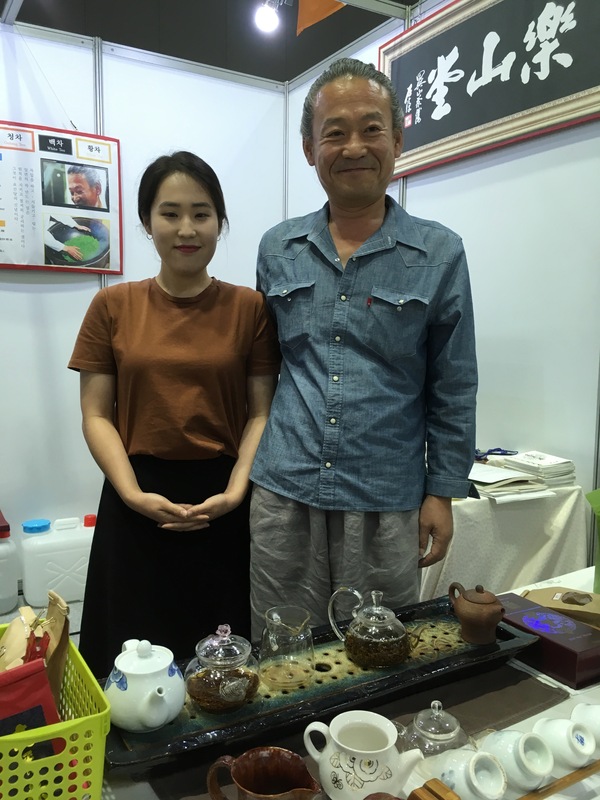 The procedures of 2000 year old Korean tea ceremonies were presented as the Royal Court tea ceremony, Buddhist Temple tea ceremony, Daily Life tea ceremony and Guest Greeting tea ceremonies in Sejong Cultural Center. The procedures are now known as Myung Won tea ceremony. The Myung Won tea ceremony continues today as the authentic traditional Korean tea ceremony. 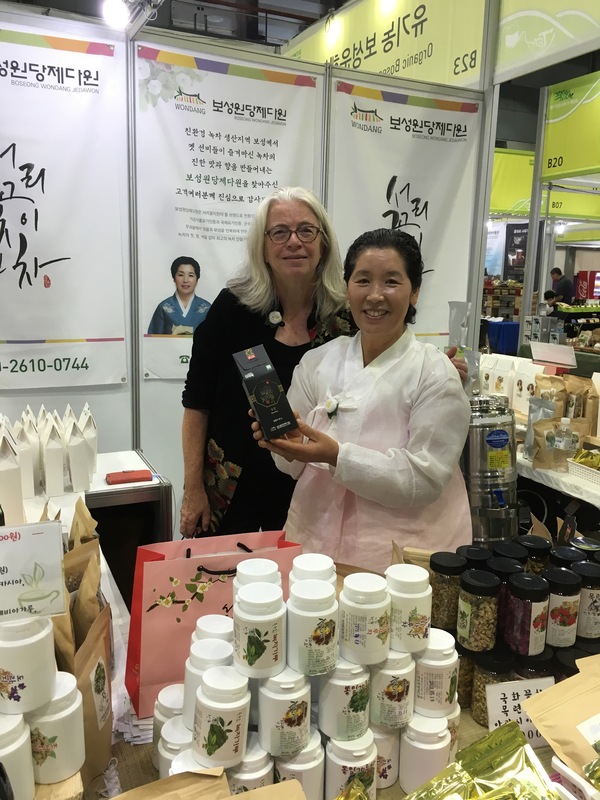 Beosong has been recognized for their green tea for more than 1500 years. Historical records mention the tea from the mid 7th Century during the rein of Queen Seondeok. But it was not until the 1930s that green tea was produced commercially on large farms. 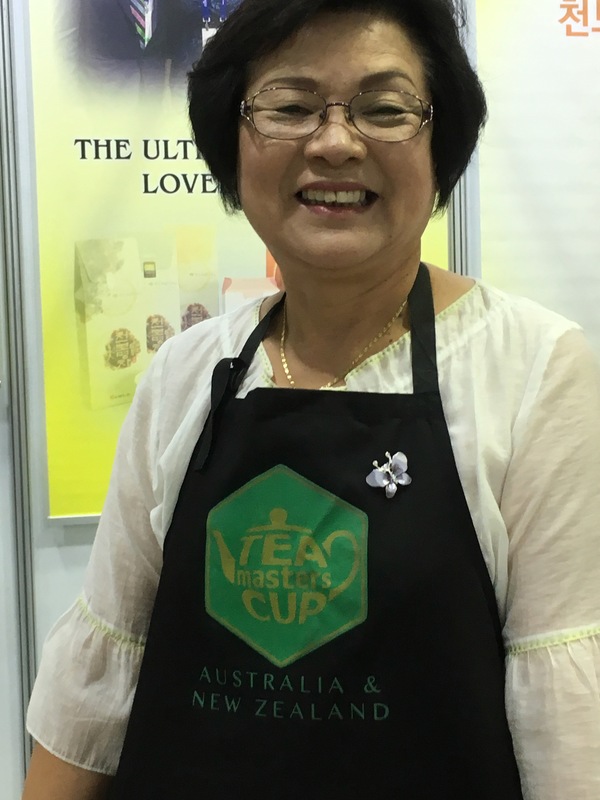 In the 1980’s the local government decided to support the industry by subsidizing local tea businesses and by focusing on higher education and training with local universities and research institutes. Woojeon Cha – The first set of budding leaves in early Spring. These are usually plucked in early April and are considered an exceptional tea of high value. Sejak Cha – The second plucking usually occurs between the end of April and into May. These leaves are usually plucked when they are not completely open and are still considered to be a premium tea. Joongjak Cha – The leaves are those that are plucked a little later than the Sejak Cha, are more mature with leaf sets plucked with one or two of fully opened leaves. 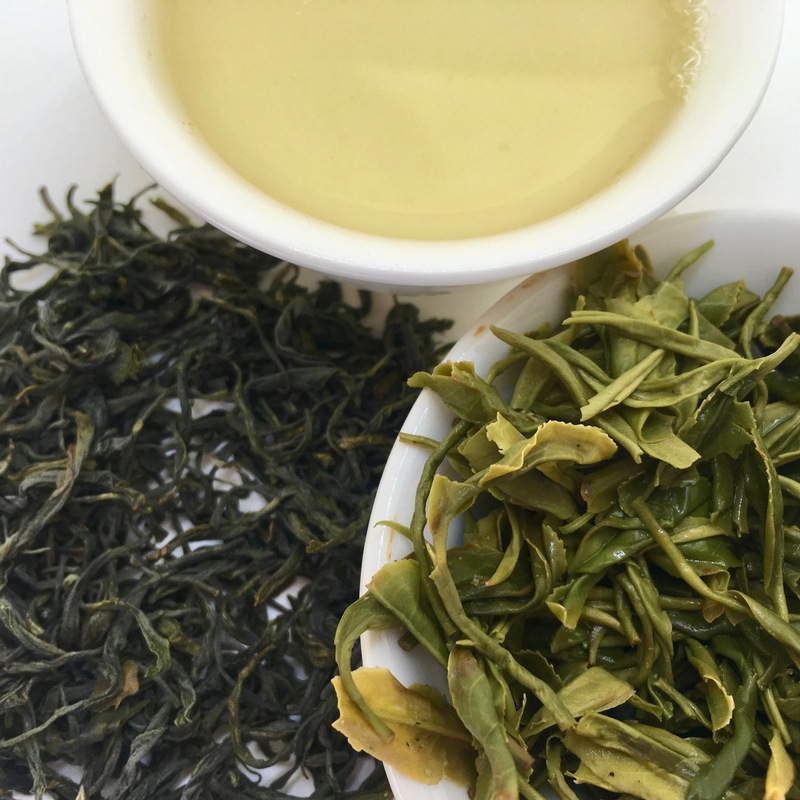 Daejak Cha – The fully mature leaves are harvested from the last flush of the year. Another interesting form of Korean Tea are called Dokk-Cha. 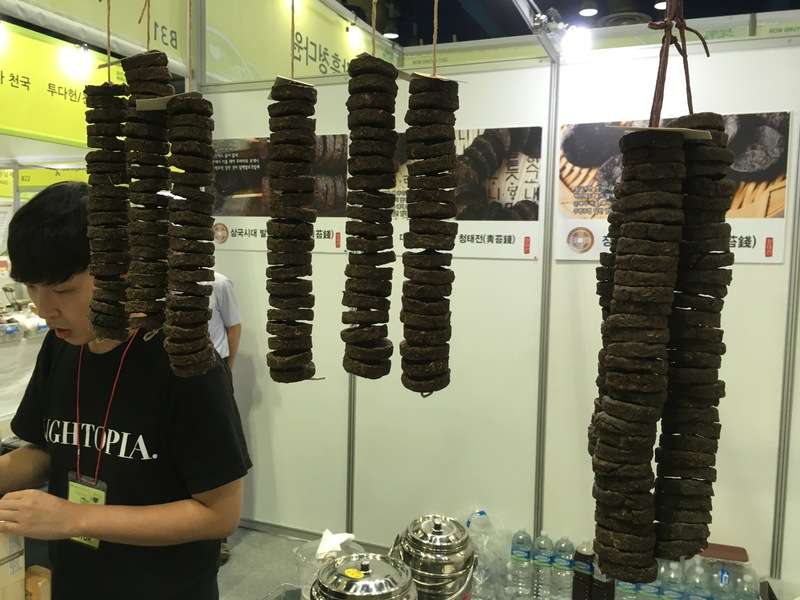 These are pressed tea leaves formed with a center hole so that they can be suspended by a cord to dry and then to be sold as a “packaged set”. Each pressed coin is to be brewed for one steeping of a cup or pot.